Due to availability issues, we are unable to submit our standard predictions format including safest bet, dark horse, etc. for the Bridgestone Invitational this week. But the world of picking golfers, fantasy golf, gambling, and so forth must go on, and thus, we have decided to instead offer our very own ranking of players this week. We will be offering up 12 names for you to consider, and breaking it down like this: 4 highly favored players who will contend, 4 guys that WE specifically think will contend (household names, but not necessarily favorites), and 4 sleepers you should consider picking that could give you an edge in your leagues. As you already know, this is a World Golf Championship event, so it is a very strong field and there are a lot of powerful names to choose from, so here are our thoughts (Keep in mind they are in no particular order since they are sectioned off into subsets). 1. Jim Furyk – Of everyone in this powerful field, Jim Furyk is my favorite and I will tell you why. Well I don’t need to tell you why, just look at his season. Solo-2 last week, solo-4 at the Open, T12 at the U.S. Open, back to back runner-ups at the Players and Wells Fargo, and 3 more top 10s on the year. Now look at his past four results in this tournament, respectively. T2, T9, T23, T6. The Fury has proven he can play well in this tournament, and he has proven that he is as consistent as anyone on tour this year. Honestly, he will be my favorite next week at the PGA Championship too, and I believe he will win one or the other. 2. Sergio Garcia – Another pick largely driven from having his Open finish (T2) fresh in my memory. But that’s not the only impression Sergio has made this year, in fact he’s made several, including a solo-3 at the Players and a win in Qatar on the European tour against a strong field. Although he has a poor track record on this course, Sergio is poised to have a marquee win this season, and I like his chances better this week than next. 3. Adam Scott – The world number one is two years removed from winning this tournament, and he has held up thus far under the spotlight of being number one. In fact, he won the same week he reached the top, and has had nothing but top 10s ever since, including both the U.S. Open and the Open. There is no reason to think he will stop that pattern now, coming back to a course that fits his eye. 4. Tiger Woods – Where would we be if we didn’t pick Tiger when he shows up all doubters and finds a way to get his 9th win in this tournament… Now I’m not saying that is what’s going to happen; however, no one has as much urgency to do well than Tiger Woods, and he is playing a course that he could probably break 80 with his eyes closed, and could definitely shoot under par while still trying to “find his game.” In such a familiar setting with uncanny history that speaks for itself, in a tournament where he doesn’t have to worry about a cut line, you just can’t bet against Tiger. With that being said, he is at the bottom of our highly favored category for a reason, I would put more stock in any of the above three, or maybe even some of the names to follow. 5. Steve Stricker – You can hardly pick a “veteran” of the course better than Steve Stricker (Outside of Tiger Woods and Jim Furyk). Though he’s played in very few tournaments this season with mixed results, he knows this course like the back of his steady, consistent hand, and that makes it hard to bet against him. I wouldn’t be putting my money on Stricker to win outright, but I expect a top 10 finish, and would be surprised by anything outside a top 15. 6. Ryan Moore – After not having given Ryan Moore any love in the past few weeks and gotten burned, I am ready to jump on the bandwagon. Much like my thoughts for Sergio, Moore has had a solid year, and although he does have a win in 2013 as part of the wraparound season, he is still looking for that marquee win in 2014, especially with the Ryder Cup selections approaching, and I think this could be the week. 7. Marc Leishman – The tall Aussie has somewhat flown under the radar this year, but he’s racked up some great finishes while doing so. After sharing the 54 hole lead at the Quicken Loans National, he faltered to a T8, and outside of that, he has 4 other top 10s on the year, including most recently a T5 with fellow Aussie, Adam Scott, at the Open. He’s ready to become a household name. 8. Jason Dufner – For anyone who had Dufner on their fantasy season last year (cough, me, cough), or who tuned into the PGA Championship last year, you know that this is the time of the season when Jason Dufner really starts firing on all cylinders. And when he’s on, he makes the game look about as pretty as anyone out there. In addition to winning the PGA last year, he earned a T4 in this tournament, coming off a solo-7 in this tournament in 2012. As for this season, Dufner has had a mixed bag of results, and is still itching to get back in the winner’s circle. 9. 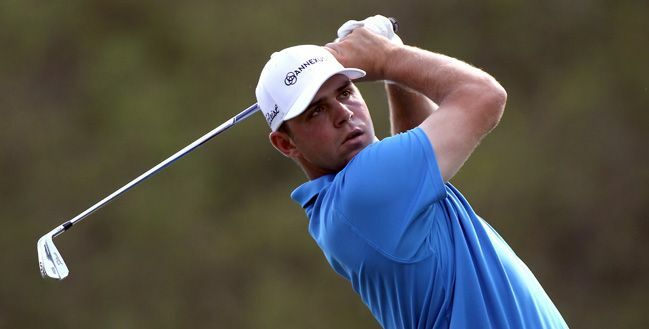 Gary Woodland – My top sleeper pick of this week. He’s not a total sleeper, because that bomb of a drive gets him plenty of attention. Still, Woodland has been quiet, almost as though he’s been asleep (if you will), for most of the season. That’s not for lack of form, though, as he’s been in contention early in the season, at the Players, and most recently the Byron Nelson. I think people have understandably forgotten about him, but expect Woodland to remind us of his talent this week. 10. Matt Jones – Jones barely made it into this field (through getting his first win earlier this season in a dramatic playoff), but the dude is a competitor. He plays fast, he plays with confidence, and he gets aggressive when he needs to. All of these traits are required for someone who wants to get in contention at a WGC event, and I believe Jones wants to put his stamp on the OWGR with a strong finish here. 11. Jamie Donaldson – Every year at least one European Tour player finishes in the top 10, so you have to pick one. I am picking Jamie Donaldson because he is one of the best, and has proven he can play on American soil with a runner up finish at the WGC Cadillac, as well as a T14 at the Masters. *Note that two of the biggest favorites were not mentioned: Rory McIlroy and Rickie Fowler. Though Fowler’s consistency in majors this year speaks for itself, both of these players are not known for their consistency, or their ability to follow up a strong finish with another. I am predicting both of these players to be non-factors this week. This week marks the third World Golf Championship event of the season, and it is going to be a good one. 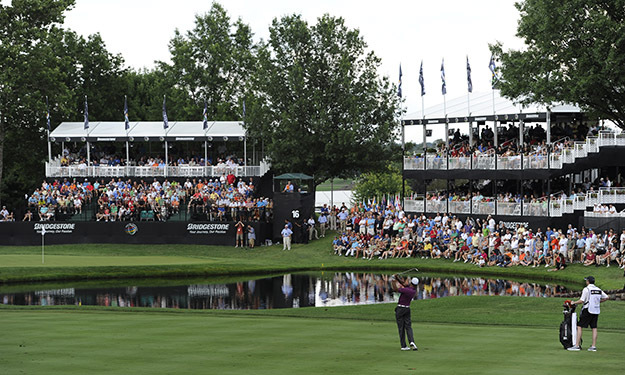 76 of the worlds top players will be in the field for this years Bridgestone Invitational at Firestone Country Club in Akron, Ohio. The format for the Bridgestone Invitational field features members of the last Presidents Cup or Ryder Cup teams (in this circumstance it will be the 2013 Presidents Cup team). It will also feature players in the top 50 on the official World Golf Ranking (missing only Dustin Johnson, who withdrew yesterday), tournment winners of worldwide events since the previous year’s tournament with an OWGR strength of field rating of 115 points or more, and the winner of one selected tournament from each of the PGA Tour of Australia, Sunshine tour and Asian tour and two selected tournaments from the Japan Golf Tour. What does that all mean? The easiest way to explain it would be to think of the event like an all-star game, where the world’s best golfers come together and golf their collective faces off. The course itself is rich with tradition. 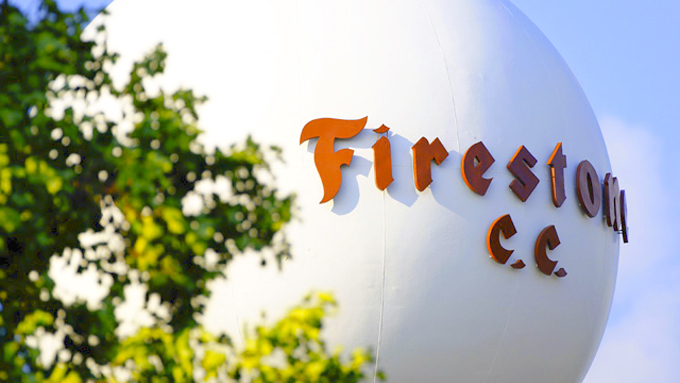 Firestone Country Club was founded in 1929 as a park for employees of Firestone Tire and Rubber Company in Akron, Ohio. The course was redesigned by famed golf course designer, Robert Trent Jones in 1960. Since then, the PGA Championship has been held there three times, which included Jack Nicklaus’ 1975 comeback win. Needless to say, the Bridgestone Invitational field has a myriad of top named golfers from Tiger Woods to recent Open winner, Rory McIlroy, to world number one, Adam Scott, and a one time dominant Martin Kaymer who has been struggling of late. It should be an exciting tournament to watch. Last years winner, Tiger Woods is back in action since he finished in a disappointing 69th place at the Open. Woods has won eight times at Firestone Country Club, and also holds the tournament record shooting a -21 back in 2000. One of his most memorable moments, “The Shot in The Dark,” also took place during his 2000 victory. Tiger has basically been a dominant force when it comes to this WGC event, and you can bet that the main story line will put Tiger and Rory – is it too early to coin the phrase ‘Nike then and now?’ – squarely in the spotlight. Make sure to tune in this week as all-stars clash one more time before the season’s final major. The RBC Canadian Open has come and gone, and now we only have two more PGA-affiliated events until the FedEx Cup begins, and they are not even full PGA events… This week is the WGC Bridgestone Invitational, hosting around 75 of the best players in the world, and then the fourth and final major will follow, and then it is FedEx Cup events. So its gut-check time for those on the outside looking in (including Mr. Tiger Woods). But first, let’s talk about the RBC Cananadian Open. Sunday was not short for drama at the Canadian Open, nor for rain. 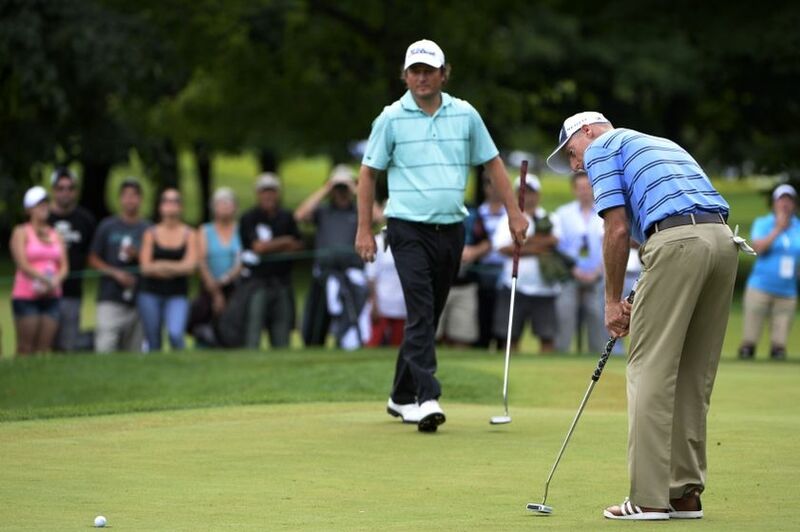 Play began early because of impending weather, and there was a delay for about a half an hour in the afternoon, and all the while, Tim Clark was trying to chase down Jim Furyk and his three stroke lead. Clark did so, tying him at 15 under par on the 14th hole, right before the rain delay. Once back on the course, Clark immediately sank a birdie putt to take the outright lead on 15. Furyk was able to birdie the par 3 17th, but only following a birdie from Clark. With one chance left, Furyk hit his approach on 18 to 12 feet, but could not convert to force a playoff. For Furyk, the win would have ended a near four year winning drought, and would have put him in the rare, three-time winners club at the event. For Clark, however, the win did mark his second on the PGA Tour (his first coming at the 2010 Players), and his second win on Canadian soil (1998 Canadian PGA Championship). The main story line headed into the week was the 60 year drought for the Canadians in winning this tournament. Now, as Tim Clark heads back to South Africa to celebrate his win, the drought will continue for at least another year. However, the Canadians did have their chances. Canadian favorite, Graham Delaet, tied the course-record 63 on Friday to put himself in second place, but played out of contention with an even-par 70 on Saturday. Brad Fritsch, picked by our own Mike McKenzie as a dark horse, made the cut on the number, then battled back with a 67-64 on the weekend to notch a top 10 finish. Perhaps the most surprising was Canadian amateur, Taylor Pendrith, shooting an opening round 65 to put himself in a tie for second, but reality set in and he shot a 75 on Friday to also make the cut on the number. Overall, there was hope for our northern neighbors, but they will have to channel that hope for another year. As for our picks, the safe bets in Jim Furyk and Matt Kuchar helped Dave and Jon’s foursomes, but overall we too will be channeling our own hope – to this week in Akron, and seeing if we can get some better results. See below. Tom: This time, I am not going with tournament history in this category. For one, the course always changes, and for two, there is not a lot of consistency in the leader boards over the years. What I am going to do is pick a player who I believe is the safest bet based on the situation. Dustin Johnson has made 14/16 cuts this year, finishing in the top 10 exactly half the time he has made the cut. Of those top 10s, he has two T4s, including at the U.S. Open, and two runner up finishes early in 2014. He has a win on the season, but none in 2014. He is also coming off a T12 at the Open where he put himself in contention, before slipping on Sunday. I expect DJ to bounce back in a big way, and keep a Ryder Cup-worthy season going with a strong finish this week. Oh, for the record, he finished in a T2 here last year – granted he blew a good chance to win by hitting a drive out of bounds. After back to back wins at this tournament in 2006-07 and a strong 2014 campaign, Jim Furyk is one of the safest picks available this year. 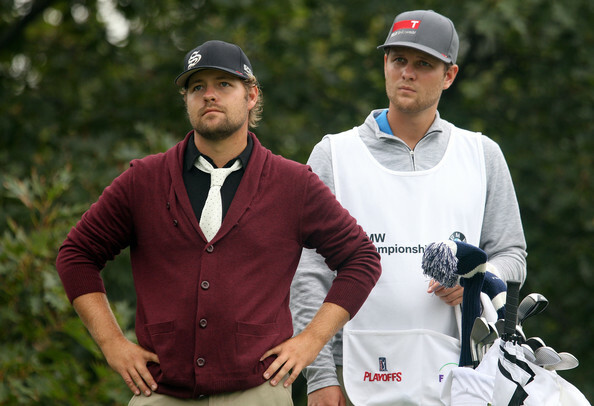 Photo courtesy of pga.com. 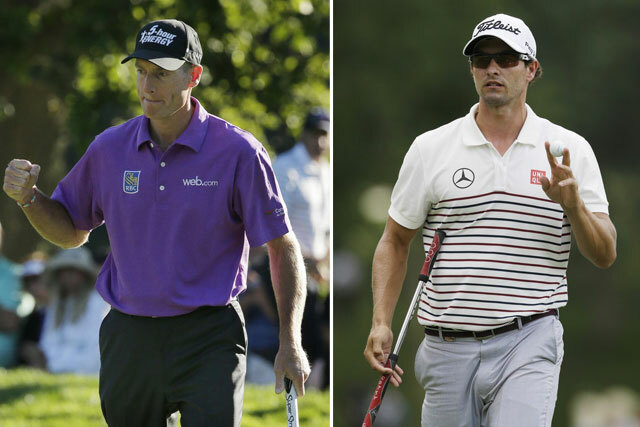 Dave: Jim Furyk had a heck of a week last week. 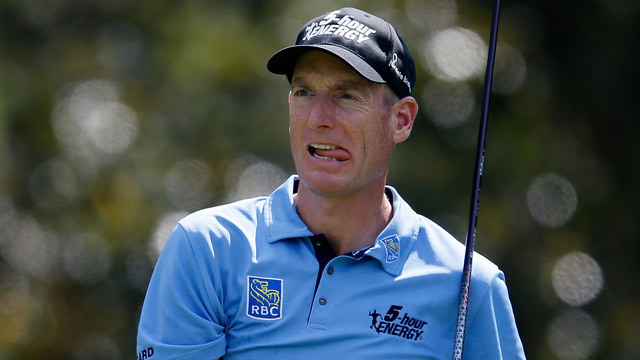 Finishing 4th at The Open, Furyk is showing that 5 Hour Energy sure is working for him. I also found it encouraging that after playing in the Open in 2007, Furyk won the Canadian Open. After playing in The Open in 2013, he came in T9. Those are impressive stats and a man that is doing well of late. Moreover, this is a short course which is playing around 7,000 yards and will allow Jim to play with big hitters and not lose anything. He seems like as safe a bet as there is this week. Jon: You don’t get to number 4 in the FedEx Cup standings without doing something right. For that reason I think Matt Kuchar will be your safe bet this week. I waffled a little bit as I thought about picking Furyk (see above), after his performance last week at the Open, but I think Furyk probably has a little bit of a trap week. So instead, I think Kooch is going to have a great week and maybe even make some headway on FedEx Cup leader, Jimmy Walker. Tom: I have been waiting for this tournament for one reason. To pick William McGirt, the proud alumnus of my alma mater, Wofford College. 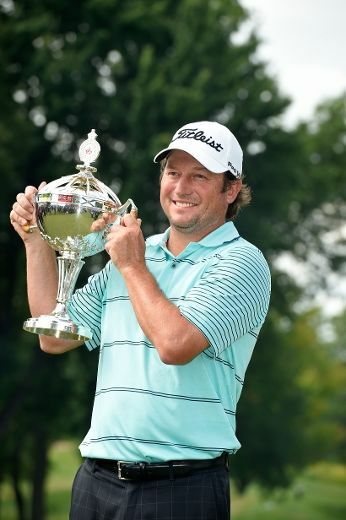 McGirt has had a slow and steady progression in his career, and it all started at the Canadian Open two years ago when he had the lead with only a few holes to go, completely choked, and lost to Scott Piercy. Still searching for his first PGA win, McGirt followed up that disappointment with a T2 in this tournament last year, and is in the middle of his best season to date, including experiencing his first 54-hole lead at the Northern Trust Open (where he struggled slightly on Sunday, but ultimately would have lost regardless to a fiery hot Bubba Watson). My main concern is that his expectations will be too high coming back to his favorite tournament, but he has proven that he has the game to get onto the front page of the leader board, and that is enough for me to make a shameless plug for the small, liberal arts school in Spartanburg, SC where I work. Dave: Hunter Mahan. Sure, the guy is 44th in the world golf ratings, a household name, and is coming in with 28/1 odds… But I still consider him to be a dark horse this week. The man has had a less than impressive season and has only had 4 top-10 finishes out of 19 tournaments. Hunter was also in prime position to win it all last year when he left before the start of the 3rd round. Why you ask? The birth of his first child. I think he’ll be back for unfinished business. Moreover, being that this is a tournament after a major, the field will be slightly softer. Jon: Admittedly, the man I’m picking is on my team, so here’s to hoping he does well. Jason Bohn has been doing just fine this year with 3 top ten finishes and a 2nd place finish at the Shriners in 2013. His problem seems to be — at least the one that consistently breaks my heart — that he sprints out of the gate and then loses steam. I can’t tell you how many times I’ve seen him in the top ten on days 1 and 2 of a tournament, only to see him crumble on the weekend. So how can he correct that? Play in Canada where up is down, and down is sideways. If conventional wisdom proves correct, Bohn will be near the cutline on Friday and then start sprinting — backwards and on his hands — to the finish with a nice scorecard to show for it. Unlikely Player to Miss the Cut? Tom: After an impressive Open win for Rory McIlroy last week, a lot of eyes will be shifted to his Northern Irish “big brother,” Graeme McDowell, and the puzzling fact that he is still on the outside of the European Ryder Cup team looking in. He is coming off a T9 at the Open, and is an overwhelming favorite heading into the Canadian Open, which is exactly why he is the perfect upset pick to, well, upset, and miss the cut. Dave: I picked Brandt Snedeker to do well last week and that did not end up panning out. Sneds ended up T58 last week in England which did not help my foursome score one bit. Brandt hasn’t had a bad season, but a lingering injury is still affecting some aspects of his game. The question is whether or not he’s actually injured. There are reoccurring rumors that he’s still having rib injuries due to a DNA anomaly. He also switched swing coaches from Todd Anderson to Butch Harmon. I thought that would be a benefit in my post last week, since Butch Harmon is a living legend. I may have been overzealous, however, as switching instructors is a touchy affair. With all of this swirling around, only to be compounded by the pressure to repeat a win from last year, he’s toast. Jon: Hunter Mahan was able to destroy any confidence I had in him last year. While this would probably be one of his ideal tournaments (under the radar, in Canada), he will effectively choke once again, and miss the cut. I really do like Hunter, and I wish he could win one here and there, but I just don’t think he gets it done in Canada. As with all of my “Miss The Cut” predictions, It comes with a disclaimer — akin to that of Mike Greenberg when he picks NFL teams — you should bet against me, because the guy I pick tends to go off more often than not, and makes me look like a fool. Like a fool! Tom: I am approaching this pick more from the standpoint of, “guy I want to win.” Calling him a favorite to win would mean failing to account for his underwhelming season and inability to string four rounds together, but I picked the Canadian Graham DeLaet to be on my fantasy team (2nd pick, in fact) with high expectations that such a talented player would earn his first PGA win this season. It hasn’t happened… yet. So why not now? Maybe because his form has fallen off considerably since his two early runner ups, and two additional top 10s on the year? Maybe because no Canadian has won this tournament in the last 60 years, and DeLaet himself has struggled mightily in this tournament in the past? Well, screw it, I’m picking with my heart this week. Who wouldn’t want to see a likely future Canadian hall of famer get his first win at the Canadian Open? Guys without hearts, that’s who. 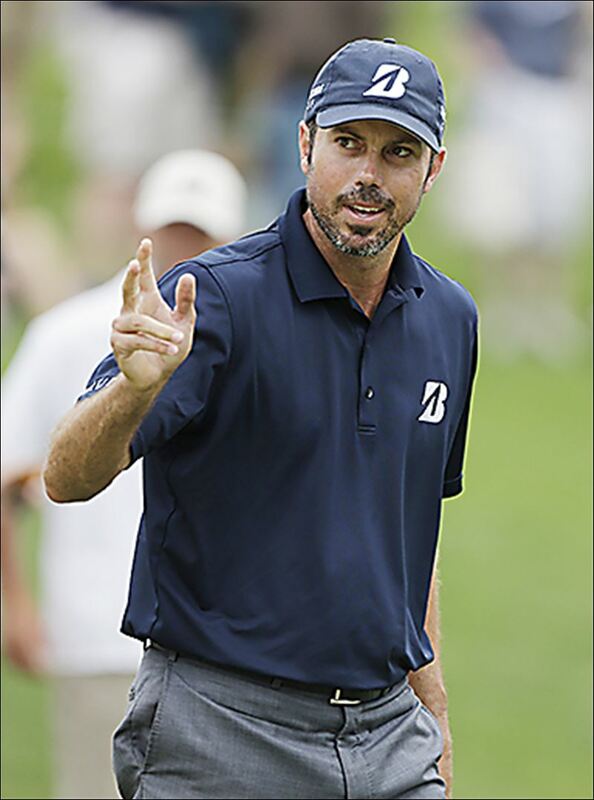 Dave: While leading the PGA in top 10 finishes, Matt Kuchar has been relatively quiet of late. By that I mean, he hasn’t had a win since the RBC Heritage in April. By that I also mean that he hasn’t had a top 10 since the Byron Nelson Classic in May. 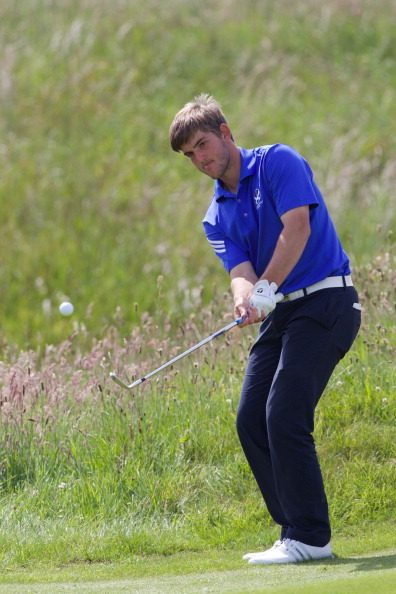 Kooch came in T2 last year at the Canadian and was T4 in 2010. My verdict? He’s consistent and is about due to swing back to the winning end. Jon: I’m not changing from Matt Kuchar. I think he gets it done. He’s got ice in veins, and I think he starts his prep for the PGA Championship this week. He will ultimately destroy this course, and leave Canadians everywhere bewildered. He might even be deported for the atrocity that he is about to exact at Royal Montreal. Make me a believer Kooch! Not a lot has been said about Charl Schwartzel this year, but besides his 4 missed cuts (including the BMW Championship on the European Tour and the first two majors), he has 7 top 10s, including a win in November on the European Tour, and a T8 at the Memorial Tournament as well as a T7 last week in the Open. I expect a big splash from the Nike team member we don’t often hear enough about. As for Carl Pettersson, he won this thing in 2010, and although he’s struggled in his past two tournaments, he hit good form early in June, and I think a familiar, friendly tournament is all he needs to get back there. Kuchar and Furyk for the reasons listed above. Dustin Johnson has been playing really well and had a heck of a showing at the Open, and I think he’s going to continue his momentum. Luke Donald is coming in with 22/1 odds and a fighting spirit. Despite having had a quiet season, I think he could be poised to do well in Canada this weekend. To be perfectly honest, though, I wouldn’t be surprised at all if some unknown player, like Johnson Wagner and that dirty, dirty stache, destroys the competition this week. The other boys have mentioned both Johnson and Furyk, and I have no argument. They’re both playing solid golf. Along with Kuchar, I think those three are your safest bets. My other pick is going to be Aaron Baddeley, the only reason being that he had a pretty impressive showing after the last major (solo 4th at the Travelers). Hopefully he can go out and have the same kind of performance that he had at the Travelers and get me some money this week. Keep an eye on the Ottawa, Ontario native Brad Fritsch this week. The Campbell University product is coming off a T13 showing at the John Deere classic, which included rounds of 63 and 69 on the weekend. The PGA Tour Canada and Web.com Tour journeyman has often lacked consistency on the PGA Tour, but has proven he has the game to go low and compete at a very high level. Brad recorded 18 made cuts in 25 events played during his 2013 campaign and finished T2 at the 2013 Web.com Tour Championship. I have a hunch this week and am running with it. I am predicting a top 10 finish from the 36 year old this week and low Canadian honors. How ‘aboot’ it eh? Last month we had the U.S. Open, and last week we had the Open Championship. Now, it’s time for the Canadian Open! Sadly, this does not garner the same amount of excitement as the first two, but surprisingly the Canadian Open always brings in a strong cast of players. Perhaps it’s due to the history of the tournament – being the third oldest tournament continuously running on the PGA Tour (behind the two I already mentioned). Or perhaps it is because of the timing – this late in the season, golfers have few remaining opportunities to make their way up the FedEx Cup points list, the PGA money list, Ryder Cup/Presidents Cup team consideration, etc. 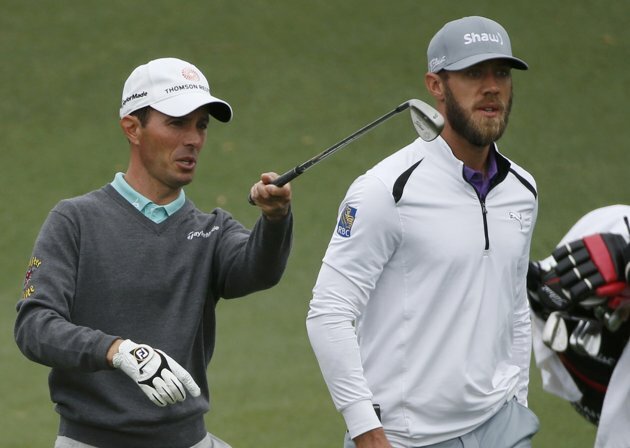 It is do or die time in professional golf, and several professional golfers are well aware. Like other Open championships, the Canadian Open is hosted on a rotational basis among several of the finest courses in the country to our northern border. This year, the pros will tee it up at the Blue Course at Royal Montreal. This tournament, as the name suggests, will feature several Canadian golfers, and not only those familiar names on the Tour (see: Mike Weir, Graham DeLaet, David Hearn), but also several making their way on the PGA Tour Canada. Recent winners include names like Brandt Snedeker, Scott Piercy, and Jim Furyk (back to back times). What hasn’t happened in 60 years, however, is a Canadian player being crowned the champion. 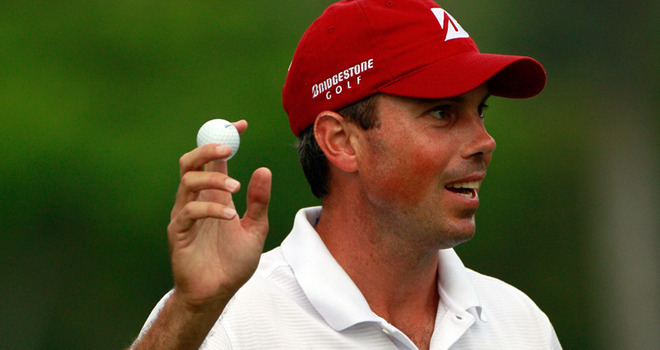 In 2004, Mike Weir lost to Vijay Singh in a playoff that would have ended the then 50 year drought. Unfortunately, all signs pointed to a “Canadian curse,” as Weir bogeyed three holes down the stretch to stumble into a playoff. In it, he birdied the par 5 18th, matched by Singh, bogeyed the par 4 17th, also matched by Singh, and finally bogeyed the 18th while Singh saved par to officially hold the trophy out of Weir’s reach (which is funny in a sadly cruel way, given the vast height differences between the two players). Could this be the year that the Canucks break the curse? DeLaet, struggling as of late, hopes that to be the case. So do Weir, David Hearn, Brad Fritsch (an intriguing pick coming off of a T13 at the John Deere), and the rest of the Canadians teeing it up on home soil. On the other hand, names like Matt Kuchar, Dustin Johnson, Jim Furyk, defending champ Brandt Snedeker, and Hunter Mahan (who led the tournament last year before withdrawing to attend the birth of his first child) all hope to deny the Canadians for at least another year. Only time, and hopefully lots of excitement, will tell as to what the tournament has in store. So be sure to tune in this Thursday through Sunday to find out. In the meantime, stay tuned for our predictions. The third major of the year has come and gone, and boy did it… provide about as little drama as the first two. Granted, there were moments on Sunday when Rickie Fowler was able to get within 4 strokes of McIlroy’s lead, and Sergio got it to 2 shots after an eagle on 10 and a McIlroy bogey on 13… and both Fowler and Garcia birdied the closing par 5s, 16 and 18, to finish only two strokes behind McIlroy… but did we ever have that moment where we thought Rory was going to lose? No. Much like Kaymer from the first hole on Thursday to the 18th on Sunday at Pinehurst, and Bubba starting at the 8th hole on Sunday at Augusta, the doubt and drama that makes us crave these majors failed to fully materialize. Whether it was McIlroy’s pair of eagles on 16 and 18 in his third round, or his 364 yard, middle of the fairway bomb on 16 on Sunday, that set up an eagle putt and a birdie conversion, this was his week, and he earned his third major in four years in impressive fashion. However, a chance to cling on to the Claret Jug was not the only achievement earned this weekend. 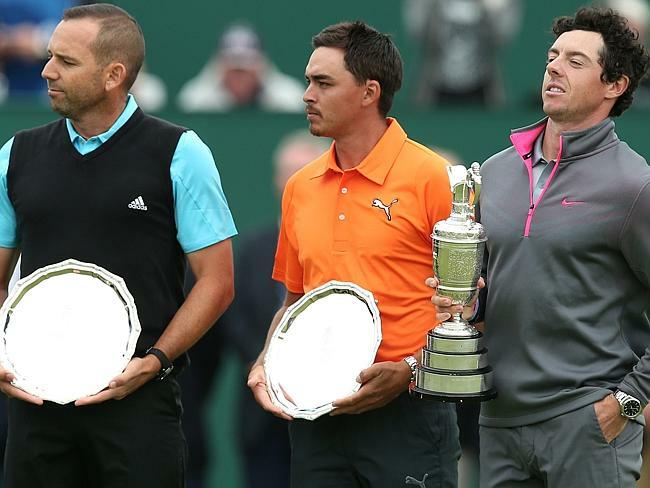 In addition to Rory sealing a spot on the European team in this year’s Ryder Cup, both Rickie Fowler and Jim Furyk locked down their places in the iconic, across the pond battle. Fowler has been the hottest player in the majors this year. Save for getting a win, he notched a T5 in the Masters, and back to back runner up finishes in the Opens, playing in the final pairing each time. That kind of poise under pressure, coupled with his already established match play skills bodes well for team America. And Furyk has been riding a hot hand in the majors as well. Before his latest solo fourth finish in the Open, he earned a T12 at the U.S. Open, and a T14 at the Masters. For those who may not remember, Furyk was Jason Dufner’s stiffest competition, and had a great chance to win, in the PGA Championship last year. No doubt Furyk will and should be a favorite heading into Valhalla in three weeks. Garcia and Fowler couldn’t quite catch McIlroy in the final round, but we had all three covered in our picks. Photo courtesy of courriermail.com.au. As for our team of slowly-growing experts, we made a huge step forward with our predictions this week. Dave aptly deemed Fowler the “safest bet,” while our guest analyst, Mike McKenzie, gave the nod to Adam Scott who hung around for a T5. At least two of us picked McIlroy, Garcia, and Scott in our foursomes, although two of us picked Kaymer, who earned the high round on Sunday and was one of the worst finishers among those who made the cut. The same goes for Woods, who was chosen by two of us, and finished in 69th place. Still, two of our dark horses, Shane Lowry (T10) and Chris Wood (T23), shared low round honors by shooting 65s on Sunday to climb back up the leader board, and I predicted McIlroy as my hands-down favorite to win the tournament, claiming “We missed on picking Kaymer at the U.S. Open, and I cannot help but to think that this week might look oddly similar, except with McIlroy this time running away with the Claret Jug.” See, with enough practice and effort, you can get better at making golf predictions. The question now is, can we keep it up. 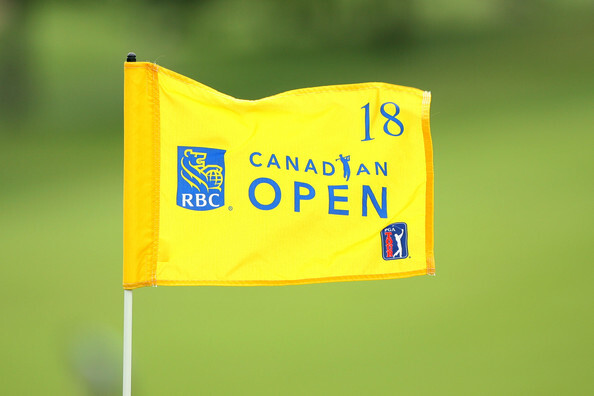 See the rest of our results below, and start shifting your focus to the RBC Canadian Open – preview and predictions coming soon! *This week we have the welcomed addition of guest writer, Mike McKenzie, and his picks. 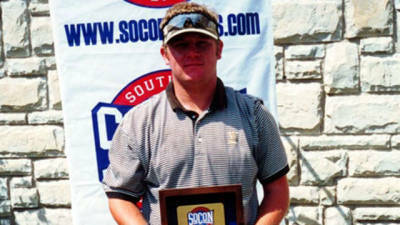 Mike is a 2010 Wofford graduate, and former member of the Wofford golf team. Before Wofford, Mike lived in Raleigh, North Carolina, and before Raleigh, Mike grew up in Canada (which will explain the Canadian jokes he will assuredly make). Mike has served as a consultant to members of our fantasy golf team, and as a long time golf competitor, we are excited to add his predictions to our modest pedigree. Dave: Even though I would never identify myself as a Rickie Fowler supporter, I will for this tournament. Admittedly, I thought that this kid was just someone Puma could get to wear stuff like this and play mediocre golf. Over the years, I don’t think you could argue otherwise. I will be the first to say this OK State product has had his best season to date and is proving that he’s more than eye candy. Breaking into the top 25 players in the world means you have to be doing something right, I suppose. Let’s forget for a moment that he was cut in the Open last year and focus on this fact: He has played this tournament 4 times total and has finished top 14 in two of those four. One of which was T5. Enough of that history lesson, let’s jump to 2014. Mr. Fowler has been in the top five in both majors this year. That statistic shows that he has been showing up when it matters. Let’s also look at another interesting stat: Rickie Fowler has not played a PGA Tour event since the U.S. Open. And he finished last week’s Scottish Open with a top 10. He’s ready. Tom: What is a synonym for safe? Consistent. And who is the player often deemed “Mr. Consistency?” Matt Kuchar. I am going with Kooch here for a few simple reasons. I by no means consider Kuchar the favorite to win this week. And although he’s been considered a favorite in the Masters and the U.S. Open this year, he does not get any love in the Open because he has not done particularly well in this major in the past. However, I am specifying Kuchar as a safe bet, because I think he is one of the few near-guarantees to make the cut, and because Royal Liverpool is playing as calm and soft as any Open Championship in recent memory, which will further favor his consistency. Jon: After seeing Martin Kaymer essentially destroy the U.S. Open, I am firmly planted on zee German bandwagon. Kaymer looked like he couldn’t miss a fairway at Pinehurst, which is no easy feat. I know I made a joke about Ted Potter Jr. last week playing well because of new Harry Potter material, but in all honesty I’m sure there will be corollaries made between Kaymer winning not only the U.S. Open, but also being in contention for the British Open, just a week after Germany won the world cup. I don’t think Kaymer wants to be the guy to end Germany’s high, and I think the ice in his veins will see him prevail. Mike: Adam Scott is a co-favorite with Justin Rose at Royal Liverpool in the eyes of Vegas bookies with 14/1 odds. The World No 1 is coming off a T9th showing at the US Open and a win at the Colonial in May. Scott skipped last week’s Scottish Open, but comes to the Open Championship rested and eager to become the first Aussie to win the championship since Greg Norman’s 1993 victory at Royal St. George’s. Scott’s major and Open Championship records speak for themselves. Scott will be in contention on Sunday and if the broomstick heats up, will be taking home his second major championship. Dave: Cameron Tringale. Truth be told, I was going to pick Cam to be my dark horse last week. To my chagrin, he pulled out last minute to prepare for the British Open. TOTAL JERK MOVE BRO! That said, my man has been prepping for over a week just for this tournament. This season, he has had five top 13 finishes which culminated in his outright 4th place finish at The Greenbrier. Since then, Mr. Tringale (pronouced trin-ga-lay) has been getting ready for The Open. I predict that he could have a decent showing with a possibility to turn some heads down the stretch. Tom: As I like to do with the dark horse pick, I am going with someone for no obvious reason. Shane Lowry was in contention at the European Tour’s flagship event, the BMW Championship, but ultimately lost to Rory McIlroy. If anyone knows Lowry’s background, he and McIlroy are childhood friends, both growing up in Ireland. Last year, Lowry was able to pull the 16 seed upset over 1 seeded McIlory in the WGC Matchplay, though none of that means he comes anywhere near as favorable as McIlroy himself. Still Lowry is an outstanding golfer in his own right, and I think he could be a guy to look out for at Royal Liverpool. Jon: I’m not saying Bradley Neil is going to win — although he thinks he is — but I think he’s definitely a name to keep an eye on. Neil hails from Scotland, and just won the Amateur Championship, and has no shortage of confidence. He’s been playing links-style courses all year long, and so he should be prepped and ready for the British Open. Adam Scott said the kid was impressive and I think if Neil can get over the mental aspect of playing in a major, he might be able to make some noise. Mike: Chris Wood. The 6 ft. 5 in Wood will be teeing it up in his home country this week. While not a common name in American households, the lanky Englishman has one career European Tour victory and two career top 5 finishes at The Open Championship. With only one made cut in a major since 2009, this is a very bold pick. Let’s hope the English crowd can inspire their native son. Dave: Hunter Mahan. I picked Hunter for my 2nd pick in this year’s fantasy draft. It was a pick full of promise and hope. Moreover, some predicted that Mahan would win a major this year. OK OK! One person predicted Mahan would win a major. Hunter has missed the cut in 4 out of his last 9 matches. Of the 5 where he wasn’t cut, he finished 50 or worse in 2. I don’t see Mr. Mahan turning it around this week. Tom: The hottest player category has been given to Justin Rose, hands down this week. But lets not forget Brendon Todd, who has had top 10 after top 10 and a win a couple months ago. I think the Open will expose the weaknesses in Todd’s game, however, and remind everyone that he still has work to do before he can become considered an “elite” player. Will Tiger be able to capture the same magic he had in 2006? Jon: Let me tell you a little story about Henrik Stenson. Our very own Dave Williams drafted Mr. Stenson in the first round of our fantasy golf league, and at least once every two weeks, I’ve heard Dave say it was his biggest mistake since living in Fort Wayne (Indiana). Couple that with the past few weeks of Dave making picks and generally blowing Tom and myself out of the water, and I think the man knows what he’s talking about. Although Stenson notched a T4 at the U.S. Open and he has yet to miss more than one cut during a PGA event this year, his scorecards have not been the same as 2013, and I don’t think he gets it done during this major. Disclosure: my “players to miss the cut” have backfired monumentally the past few weeks, so if someone was a betting man, I would probably put my money on whomever I pick in this category. Mike: The 2006 champion at Royal Liverpool, a one Tiger Woods, will be singing a different tune this week. Woods looked rusty at Congressional with rounds of 74-75 and comes to Hoylake without a major title since 2008. Tiger has 18/1 odds of winning this week according to Vegas. I’d rather put my money on a 2015 Toronto Maple Leaf Stanley Cup parade down Young Street. Dave: In response to Jon’s post above, I have been kicking myself for picking Henrik Stenson. For being the world #2 coming into the season, I have been absolutely bamboozled. However, if one could travel back to January 2014 Dave, the line I went with was “Henrik will not win many PGA tournaments but he’ll be in every major and he’s GOTTA win one of them”. This is when my rationale pays dividends. He has finished in the top 10 in the last five tournaments he’s played on the European Tour. In that time, he also had a T4 at the U.S. Open. He also finished 2nd at the British Open last year. Finally, he was recently quoted as saying that Royal Liverpool is a “Course that suits my eye pretty well“. That’s all the explanation I need. I think Stenson will finally show up and play this week. Tom: I don’t always like picking one of the overall favorites to win, because it’s just not as exciting as picking more of a surprise player. I cannot ignore Rory McIlroy this week, however. McIlroy is already building his legacy around a player who will come and go from the leaderboards over the years, but when he’s on top of his game, becomes virtually unbeatable. The same can be said for Martin Kaymer, and in fact there are too many similarities in their resumes to overlook in the season’s third major. 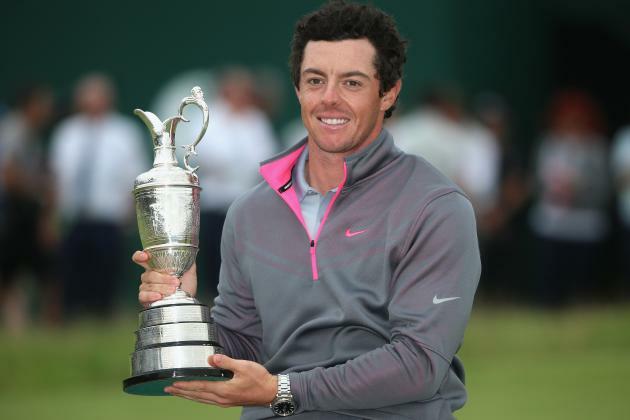 We missed on picking Kaymer at the U.S. Open, and I cannot help but to think that this week might look oddly similar, except with McIlroy this time running away with the Claret Jug. Jon: I said it before and I’ll say it again, I am 100% in Martin Kaymer’s corner, so poor me a stein with hefeweizen, and serve me some kraut because the Germans are coming to town. Here’s my prediction: Kaymer makes 8, count ’em, 8 birdies in a row. Then on hole 9, turns to Tiger Woods and says, “Does dee leettle keetten vant to play?” Enraged, Tiger looks to sweet Lindsey Vonn for support, only to see her draped in a German flag, while eating a wurst. Does this bode well for my foursome? No, but I’ll sacrifice my score if I can see that scene unfold. Mike: Justin Rose. Why you ask? Have you been sleeping under a rock? The guy is on fire with wins in his past two starts at Congressional and at the Scottish Open. The Open Championship has not been kind to Justin as of late, but Sean Foley has the 2013 U.S. Open Champion firing on all cylinders. 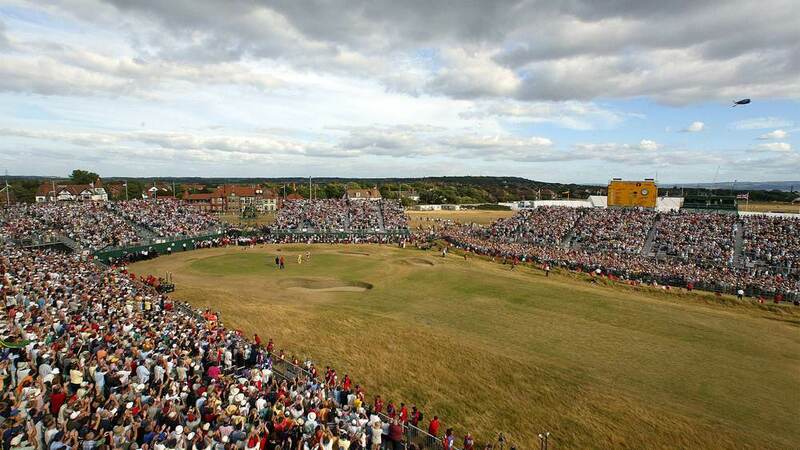 I fully expect some of that 1998 Open Championship flare out of Rose this week. Hand over the Claret Jug Phil. Henrik Stenson for the reasons above. Sergio, Sergio, Sergio. I really can’t explain why I like him. I know I have touched on this before, but I just support the man. In similar fashion to Stenson, he’s had some luck on the European Tour this year and will be ready to prove himself once again on the big stage. Brandy Snedeker (Brandy was a typo but when I went back to correct it, I realized I liked it) will have a decent week at The Open. He met up with Funk Master Butch Harmon last week and had some last minute tweaks. 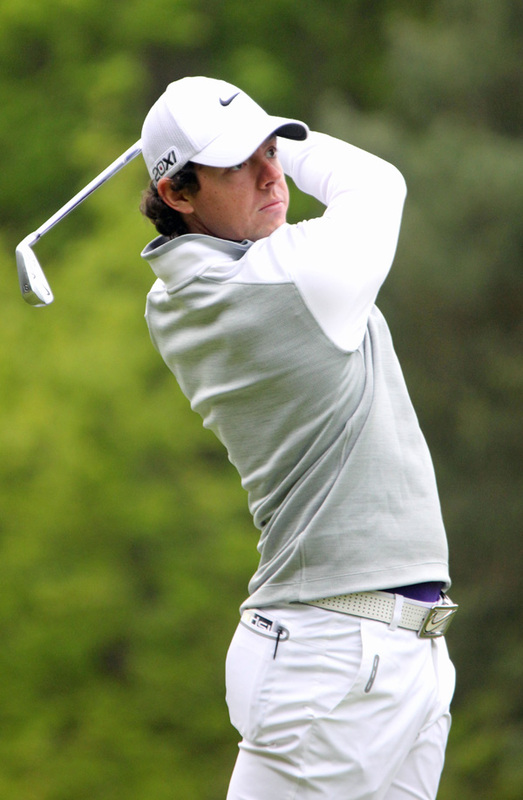 He also has had some success at the British Open as he came in 2nd in 2012. I can see Brandt doing some damage this weekend. I will try to be as brief as possible in my explanation for Tiger because I feel like I could drone on for a while about why I’m picking him in my foursome. HE’S TIGER WOODS. I don’t care if he has a broken leg or messed up back, he can win every tournament in which he plays. There are several golfers here who are the best in the world, but I do not believe can realistically win the British Open. Tiger absolutely can win this tournament. However, I predict that he’ll finish in the top 15 this week and will prove to everyone that he’s still on the prowl for 19 major victories. All I have to add is that I love Rickie Fowler’s game this season. What he has done is put himself right back in contention to make the Ryder Cup team as the U.S. heads back to foreign soil. I thought Fowler was the biggest missing piece in the last Cup’s devastating loss at Medinah, since he has established his ability to win in match play settings. Fowler has been poised to become the American version of Ian Poulter, and I think he’ll continue the momentum from his runner up at the U.S. Open, and a top 10 last week at the Scottish Open, to make an even stronger case for his 2014 resume. I’ve covered Martin Kaymer, and Mike covered Adam Scott — never argue with Vegas, they have wizards working in their dungeons. As for the other two in my foursome, I’ll tell you my thought process: I don’t know how it happens, but the Tiger Woods storyline is exciting. I’m not even a huge Tiger fan but somehow the media is able to manufacture intense excitement about the return of Golfs current “chosen one.” Also, and let me say from experience, that it is not fun when Tiger is playing in a major and he’s not on your team, because of the television coverage he gets. Lee Westwood is on my fantasy golf team, and while I don’t know if he’ll win, I think that being as he is under the British flag, he will have a great chance to compete and be in contention, and maybe get the name, “Lee WishICould” off his back. Sorry U.S. Ryder Cup Fans…going with an all-International lineup this week. Rose and Scott for the reasons I listed above. The newly single McIlroy seems to have found a little something in his game as of late. McIlroy is due for a breakout performance and we have all seen the type of dominance he can have over a major championship course. Second round woes have been the ‘Story for Rory’ this season. If the Irishmen can battle through Friday and not shoot himself out of the tournament, it is hard not to like his chances. Sergio Garcia has been very impressive this season in America and across the pond. Look for the 2014 Qatar Masters champ to be in the hunt. Putting has hindered Garcia in past majors, but he seems to have found new love for the putter and is a respectable 28th on the PGA Tour in strokes gained on the green. With three top 3s since April and a T2 at the Travelers two weeks ago, I expect a big week from the Spaniard.